Hi everyone, I do hope you are all ok and getting ready for christmas, especially now the snow has started to show up everywhere ha ha . 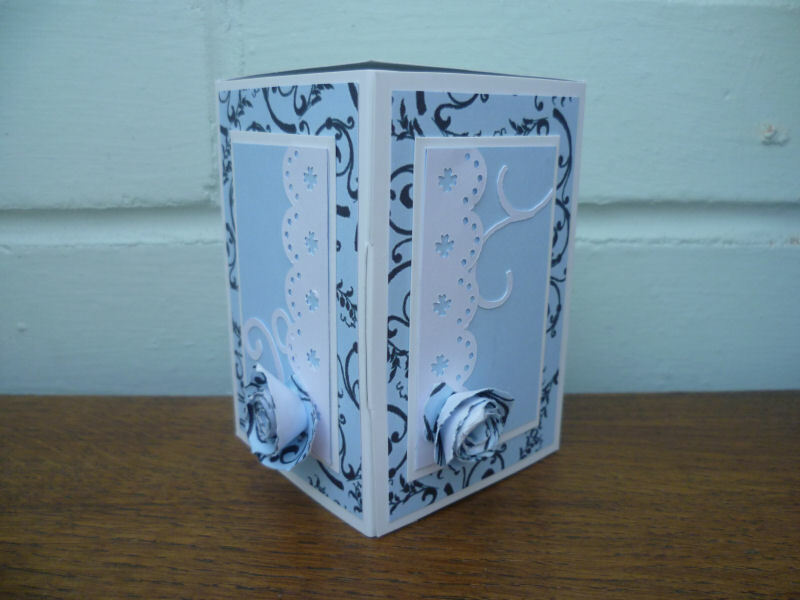 Today I am showing you a card I have made, which when opened looks like a box, it does look very effective too I think. 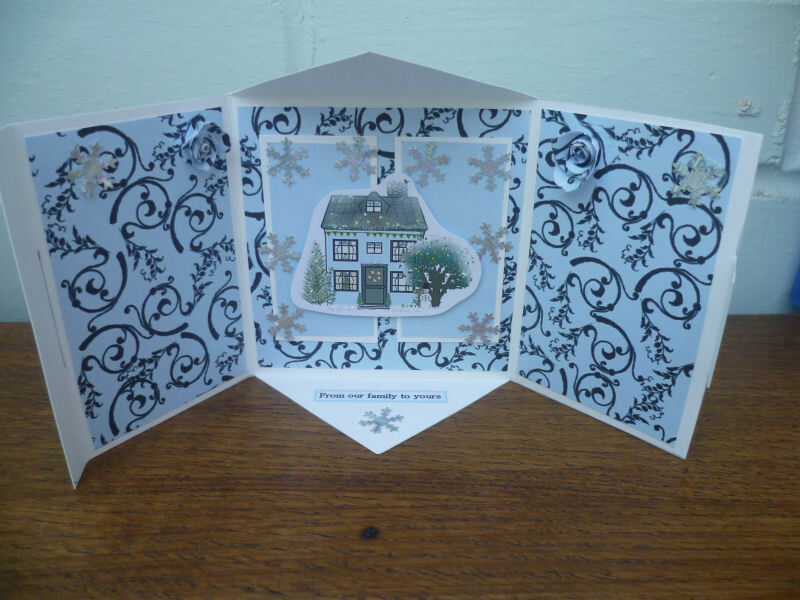 I have made this using a template which you can get at www.dreamees.org.uk also thepapers and topper I have used is from Dreamees cd called winter days.